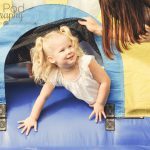 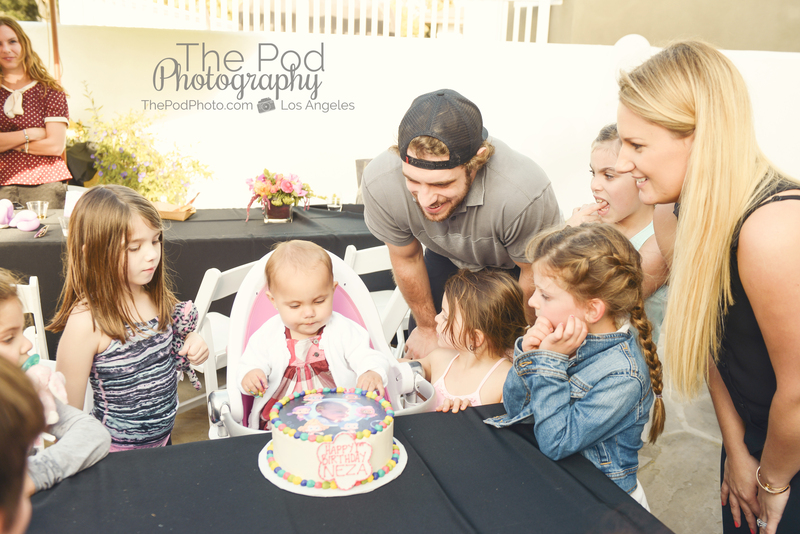 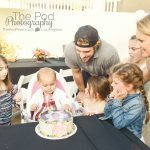 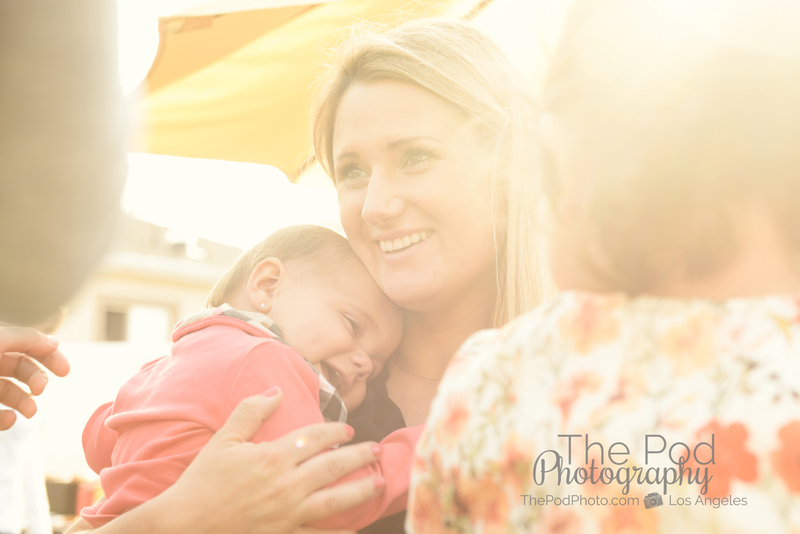 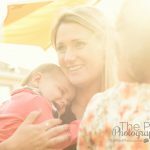 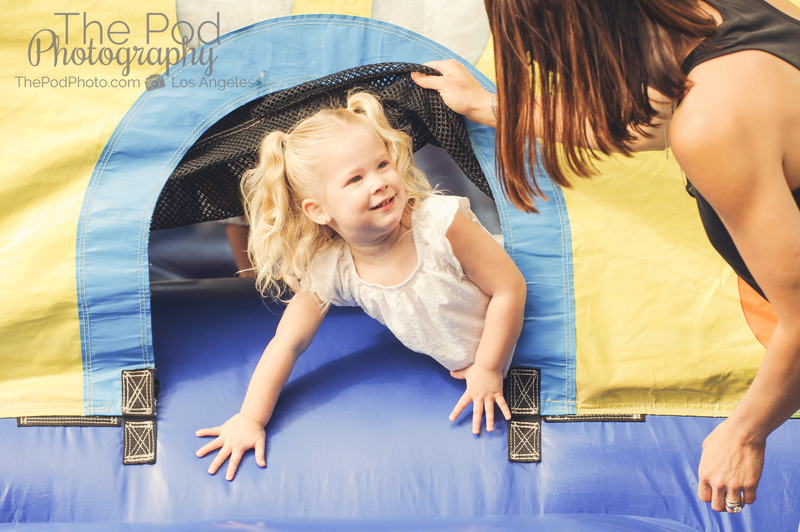 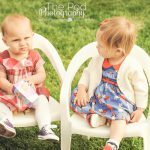 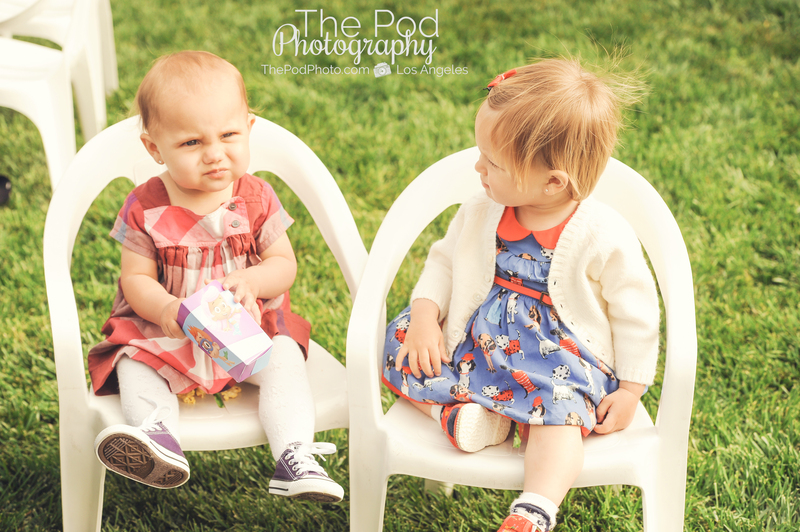 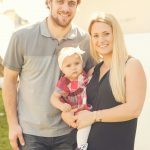 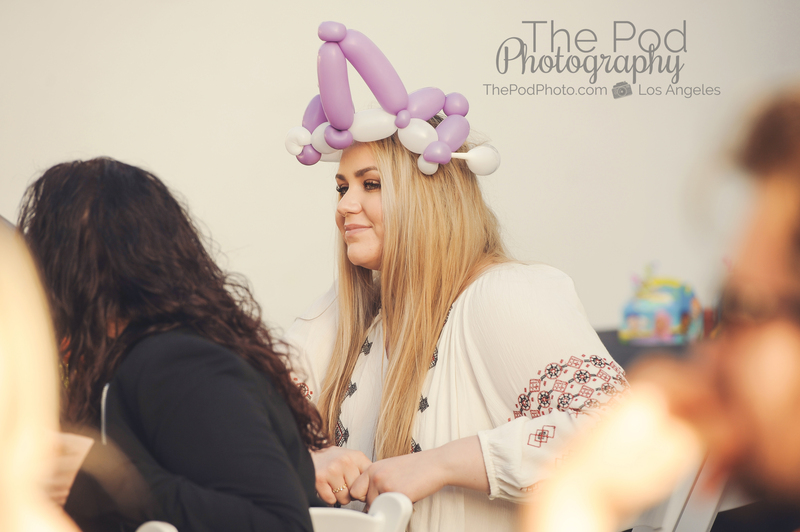 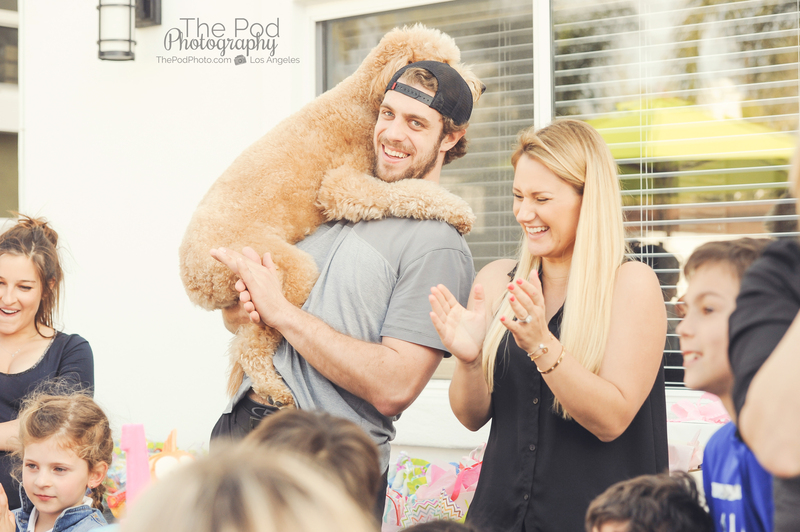 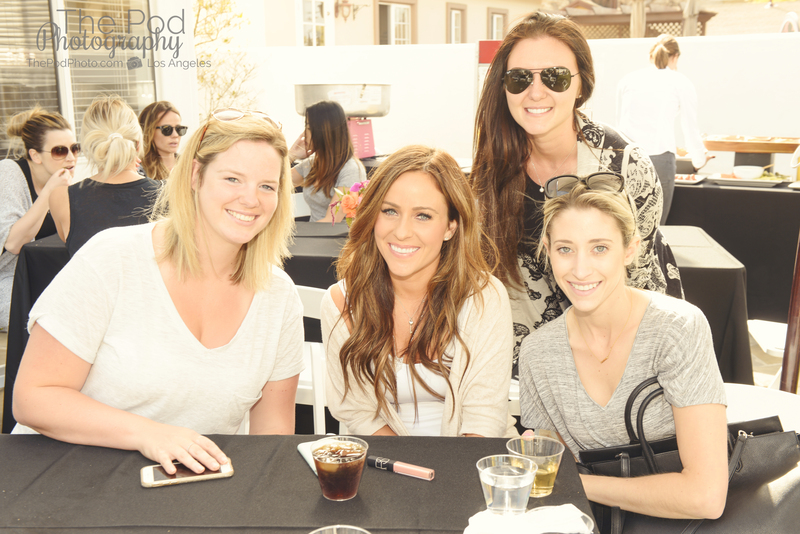 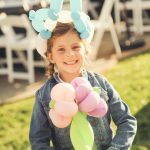 Los Angeles Kids Birthday Party and Event Photographer - Los Angeles based photo studio, The Pod Photography, specializing in maternity, newborn, baby, first birthday cake smash and family pictures. 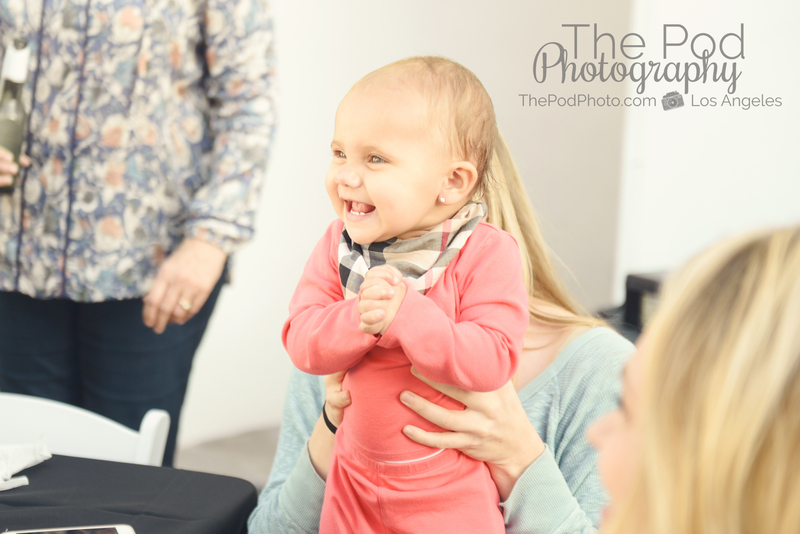 I love contributing to the Studio with creativity, helping make kids smile and editing photos, but my favorite contribution is bringing my experience of Event Photography to The Pod! 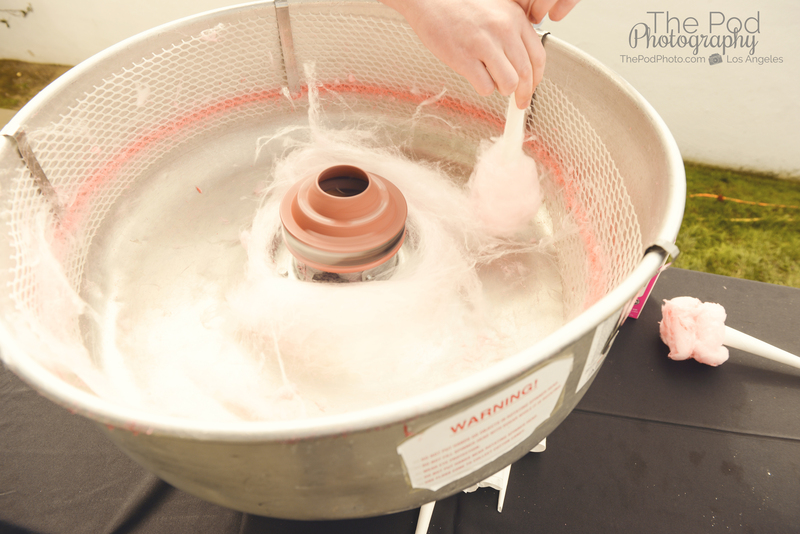 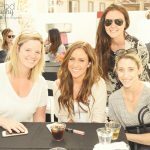 Events are always jammed packed with fun things to capture and I have always enjoyed documenting them. 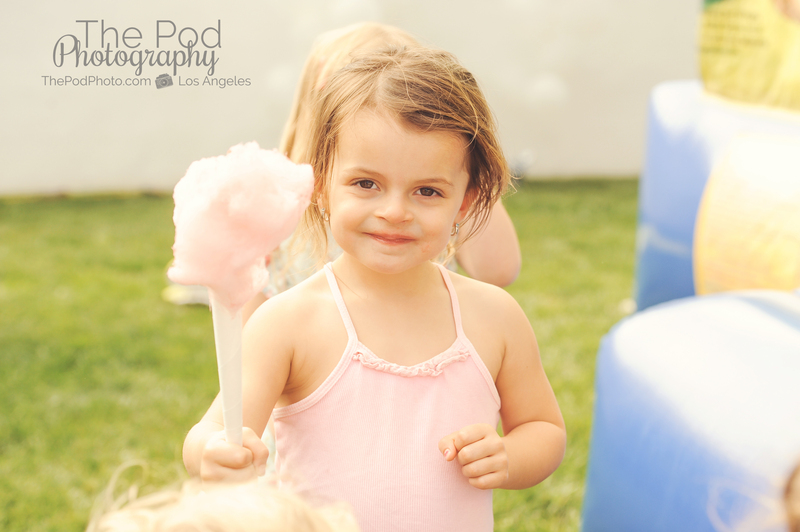 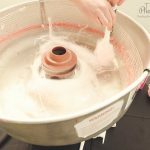 For example, at this One Year Birthday Party there was a bounce house, a balloon artist, a cotton candy machine, great food and a very happy birthday girl! 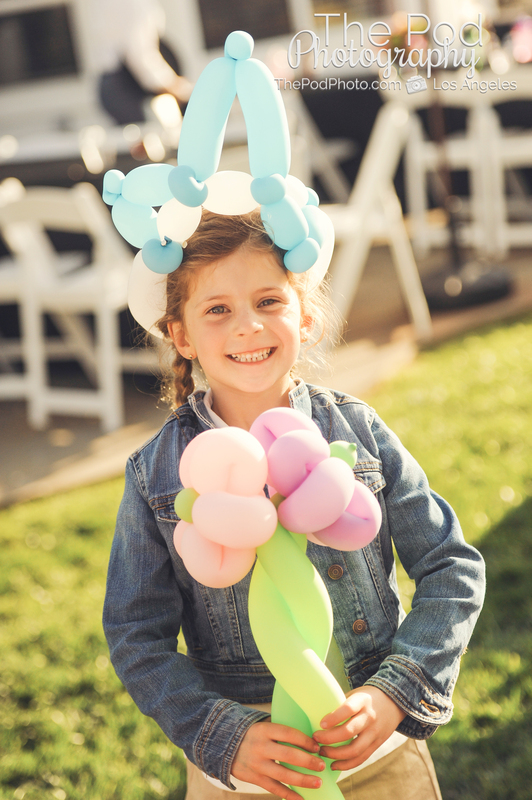 It was a great day for a birthday party in Southern California with the perfect breeze balancing the warm, shining sun for a great backyard party. 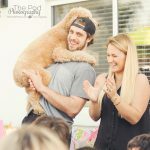 The Birthday Girl took turns mingling with all of her guests and partaking in all the activities including eating popcorn with friends and hanging out with her furry big brother, Gusto! 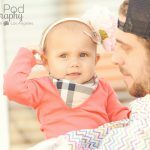 Though Gusto ended up stealing the spotlight for a while with mom and dad holding him just like Baby Sister, it was definitely a sight to see! 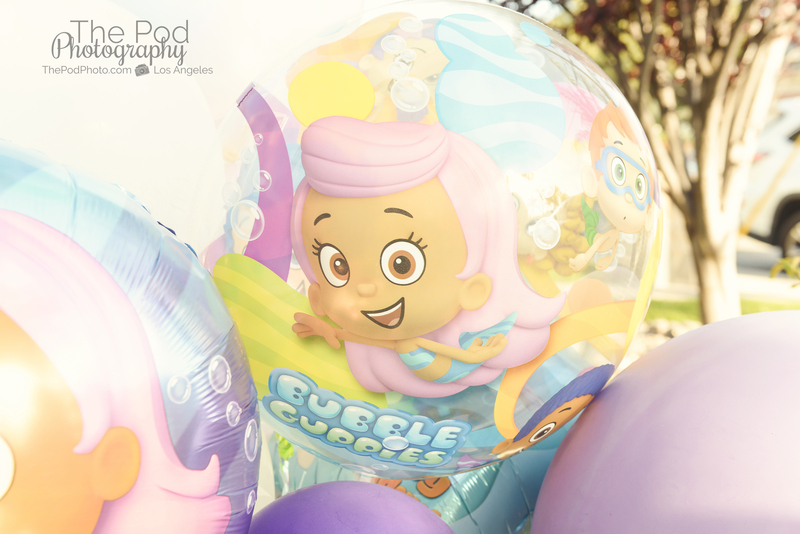 Her one year birthday party theme was her very favorite cartoon, the Bubble Guppies so the decorations added pops of bright colors all throughout the party. 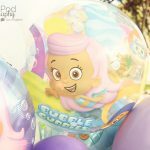 Her cake was an underwater work of art with all the characters from the show on the cake which made Neza so happy when it came time to smash it! 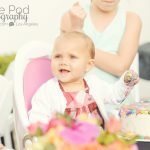 Like most cake smashes she wasn’t sure of it in the beginning, but once she had a taste of it, she absolutely loved it! 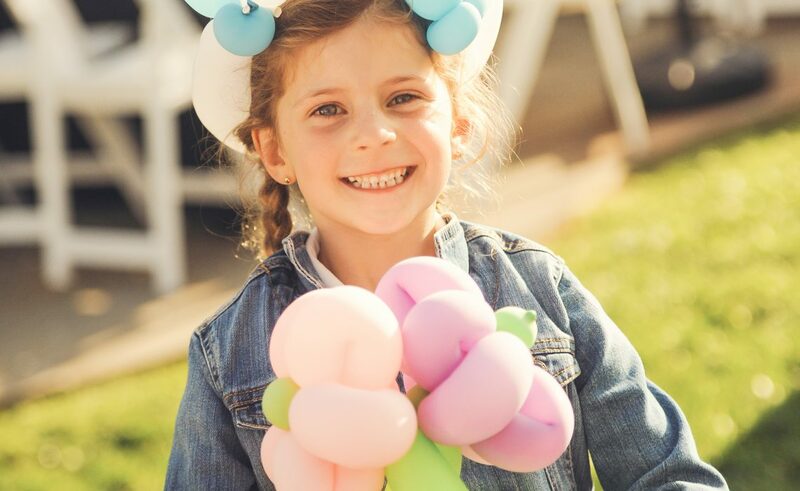 Neza finished her party with personal thank you’s to all her guests that joined her for one of her many milestones! 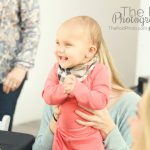 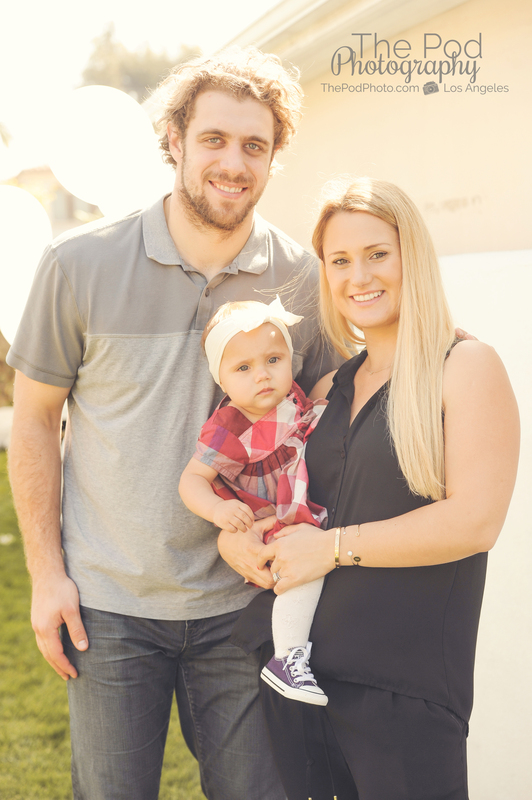 Have a little one turning one soon? 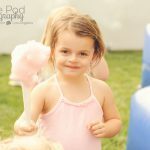 We would love to document their milestone party! 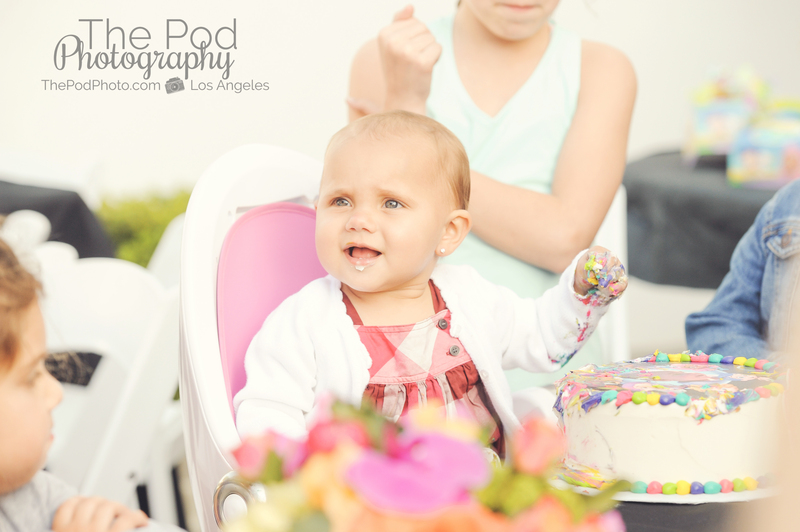 Visit our website and call us at (310) 391-4500 to schedule your consultation today for your baby’s One Year Birthday Party! 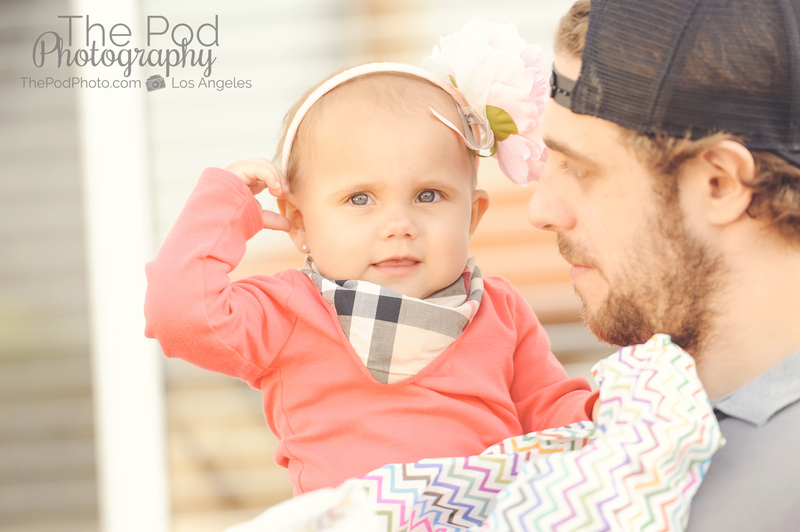 We service the Entire Los Angeles area as well as Santa Monica, Beverly Hills, Manhattan Beach, Culver City, Playa Vista, Marina del Rey, Sherman Oaks, Studio City, Encino, Brentwood, Westwood, Century City, Hollywood and West LA.